Description: This discounted bundle includes both videos 1 & 2 from Kenny Grohowski's drum masterclass series. Video 1: In part one (1 of 2) of this drum masterclass, NYC drummer Kenny Grohowski describes and demonstrates his approach to building grooves in different styles including jazz, fusion, metal, etc. 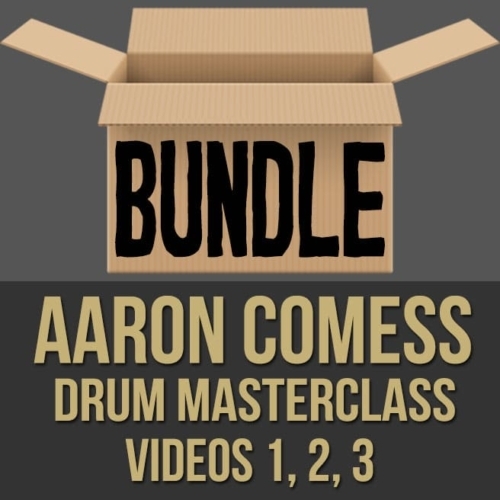 He breaks down these groove elements in an organized way and shows you how to develop these techniques. 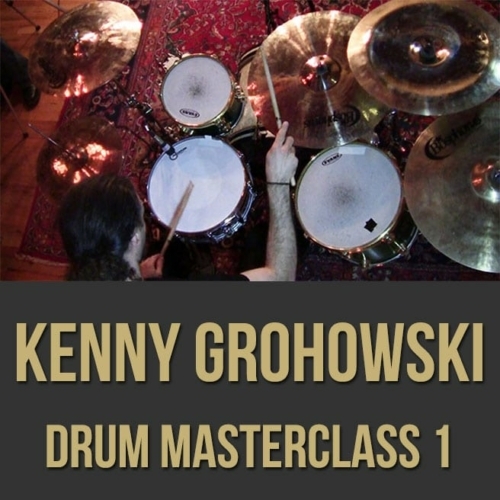 Topics Covered: Drums, groove building, mirroring the bass, rhythmic diversity, subdivisions, technique, rhythmic modulation, metal drumming, improvising, blast beats, playing “clean”, exercises, musical webbing, dynamics, slippery grooves, grooves and the relationship to dance, understanding the style, Hi-Hat placement, “stretching time”, etc. 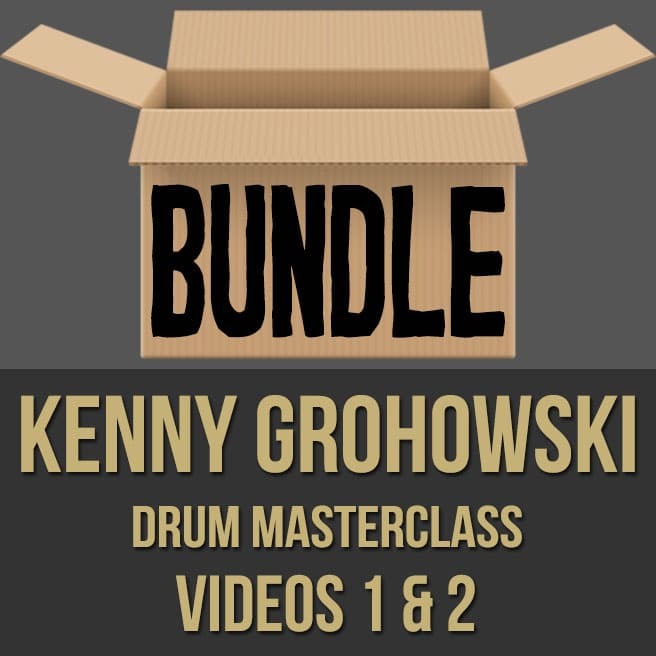 Video 2: In part two (2 of 2) of this drum masterclass, NYC drummer Kenny Grohowski describes and demonstrates his approach to foot technique and metal drumming. He breaks down these elements in an organized way and shows you how to develop these techniques. 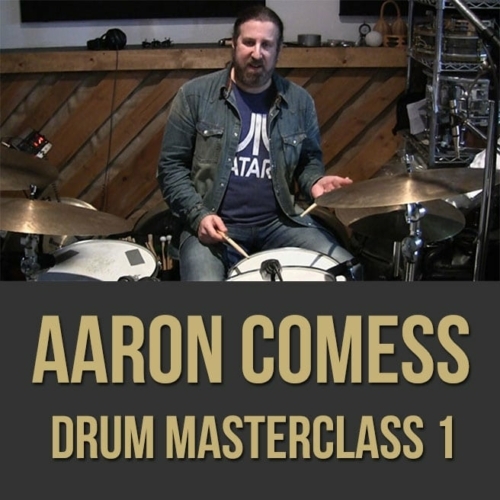 Topics Covered: Drums, metal, blast beats, flatfoot technique, double bass, pedals, rhythmic diversity, exercises, subdivisions, odd groupings, technique, marking time, rhythmic modulation, beaters, playing “clean”, core strength, leg and ankle movement, conserving energy, avoiding injury and endurance. 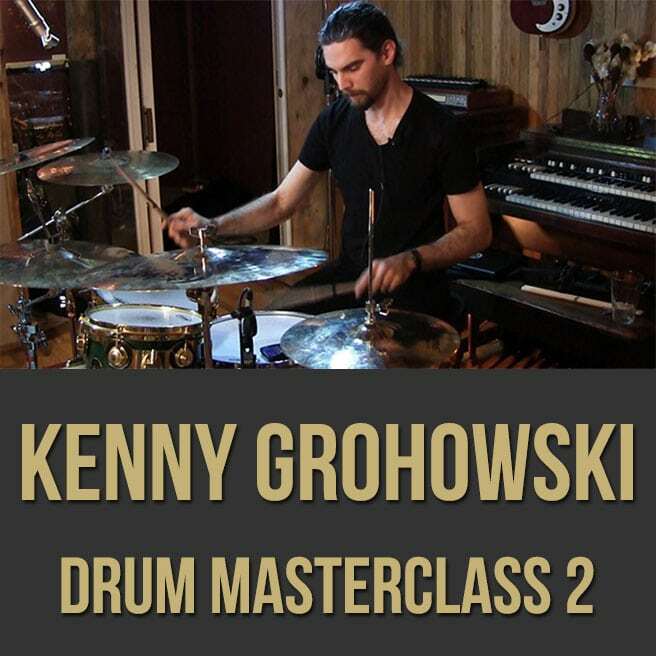 Brought up in a musical household in Miami, 29-year-old drummer, Kenny Grohowski has been performing since the age of 14. 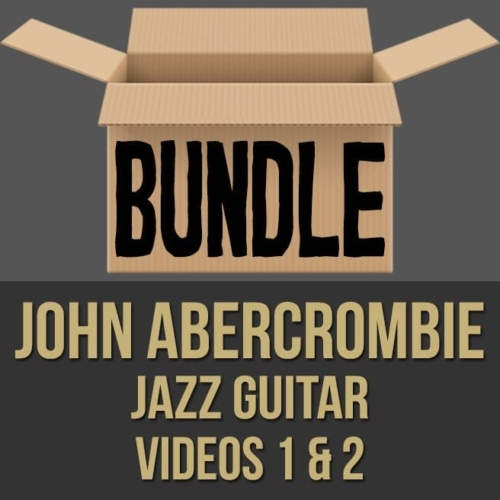 His rich musical background is demonstrated through the growing list of his collaborators and guest artists, including Vernon Reid, Corey Unger (of Blood Has Been Shed), Emeline Michel, Peter Cincotti, Jorge Sylvester, Bobby Sanabria, Bill T. Jones, Rory Stuart, Cassandra Wilson, Richie Ray & Bobby Cruz, Giovanni Hidalgo, John Benitez, Francis Mbappe, Domingo Quinones, and Bobby Valentin. Grohowski has been a member of bassist Lonnie Plaxico’s band since 2003, and a member of Andy Milne’s Dapp Theory since 2006, having come back from a successful US/Canada tour with Dapp Theory, with Highlight shows in Vancouver opening for Jazz and Bass legend, Stanley Clarke, and performed in the 2007 Latin Grammy Awards Live from Madison Square Garden with the award winning group RBD. He has appeared on several recordings, including Plaxico’s hit “So Alive” [Sony, Japan]. As of 2009, Grohowski has become a new member of acclaimed Haitian singer/cultural figure Emeline Michel’s Accoustic Quintet, and has also performed at the Museum of Modern Art with the Ze Luis Quartet as part of their Live Art performances. Grohowski has also toured across the United States, South America, and Europe, as well as in Australia and China with New Classical Composer Daniel Bernard Roumain (a.k.a. DBR). Kenny has also performed regularly with acclaimed bassist Felix Pastorius and his group since 2010, performing regularly at such New York City venues as Zinc Bar and The 55 Bar. Recently, Grohowski has written and recorded for Grammy Award winning Producer and Arranger Victor “Papo” Ortiz on the album “Eres Santo”. 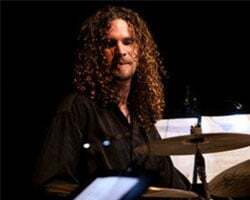 When not working with his various affiliated ensembles, Grohowski enjoys a steady and fast paced Free lancing schedule, working with many of New York City’s top Jazz, Rock, and Brazilian artists, as well as a multitude of others, and has recorded on over 40 albums. Grohowski received his B.F.A. from The New School Jazz and Contemporary Music program in 2005. He also has finished his first solo record titled “Second Last Minute”, available for download on iTunes and Amazon.com. The album blends a multitude of influences ranging from Weather Report, Allan Holdsworth, Meshuggah, Miles Davis, Gonzalo Rubalcaba, and Brand X. His brand new project and 2nd solo release, will feature him not only as Producer, but also showcase his Guitar work and programming skills as well as his drumming, is currently in the development stage, and seeks to be a more “Aggressive yet Mature” release. As of 2012, Grohowski has recorded on several full length albums. 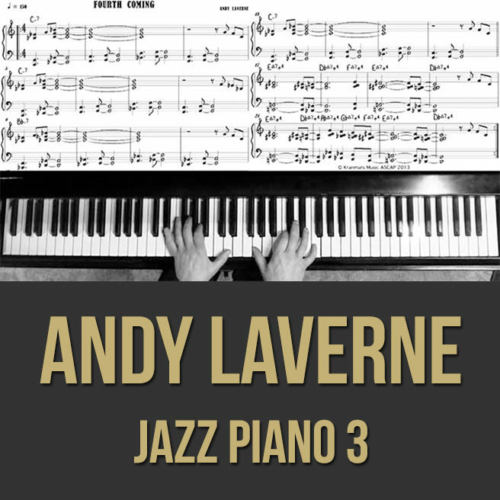 At the time of this writing, Grohowski has recorded on the next full length album for Andy Milne’s Dapp Theory with Jimmy Haslip, Founding member of the Yellow Jackets as well as Allan Holdsworth new bassist, as producer. He has also recorded on Shanir Blumenkranz’s upcoming album, ABRAXAS, featuring the music of John Zorn. Also in session after a successful Kickstarter campaign, Grohowski will be recording a brand new full length album for Violin-Metaller’s Resolution 15. Coming out later in the year, Progressive Metal act Hung will be releasing their first full length album through The End Records on May 8th, 2012, as well as a brand new double CD for prolific composer Jorge Sylvester and his Afro-Caribbean Experimental Collective, both of which prominently feature Grohowki’s versatility and technique. Grohowski has become an affiliated member of Felix Pastorius’ Group, The Hipster Assassins, the newly inducted bass player of the yellow jackets and son of legendary bassist Jaco Pastorius. Grohowski has also become a touring member of Trey Spruance’s (of the Mr Bungle/Faith No More fame) Secret Chiefs 3, having appeared all over Europe in 2012 with the group.